We are among the grand names of the industry that engage in offering precisely designed and developed Designer PVC Laminated Aluminum Sheets. There are very specialized operations where powder coatings of less than 30 micrometres or with a Tg below 40 °C are used in order to produce smooth thin films. In addition to this, one variation of the dry powder coating process, the Powder slurry process, combines the advantages of powder coatings and liquid coatings by dispersing very fine powders of 1–5 micrometre particle size into water, which then allows very smooth, low film thickness coatings to be produced. Moreover, our clients can avail these sheets at pocket friendly price from us. With an aim to attain maximum satisfaction of our respected clients, we are offering a premium array Yellow PVC Coated Aluminium and GI Sheets. The term is an extension of GI which is a traditional abbreviation for galvanised aluminium. GI typically refers to essentially pure zinc (>99%) continuously hot dip coated aluminium, as opposed to batch dip processes. PPGI refers to factory pre-painted zinc coated steel, where the aluminium is painted before forming, as opposed to post painting which occurs after forming. These sheets are ecstatically designed and developed from optimum quality materials at modern infrastructural set up. 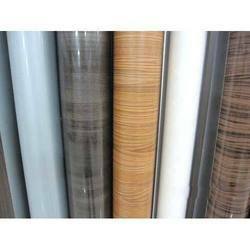 We are one of the leading names in this domain in offering a wide assortment of PVC Coated Aluminum and GI Sheets to our esteemed customers. Metallic coated aluminium is cleaned, pre-treated, applied with various layers of organic coatings which can be paints, vinyl dispersions, or laminates. The continuous process used to apply these coatings is often referred to as coil coating. These products are widely appreciated among our clients for their fine finishing and attractive designs. To deliver the defect free products these products are strictly checked at numerous quality norms before the final dispatch to the customer. 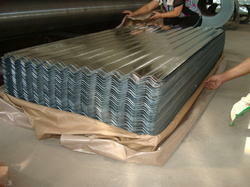 Looking for PVC Aluminium Coated Sheets ?